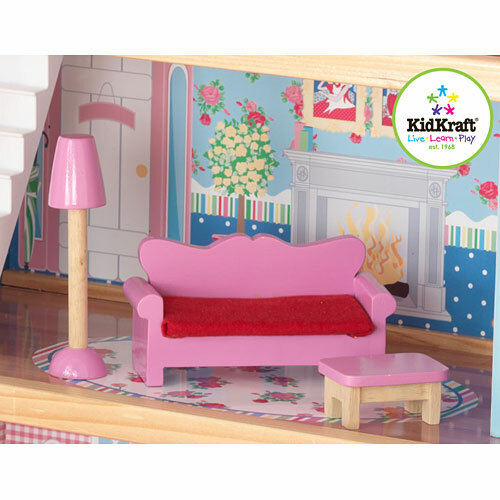 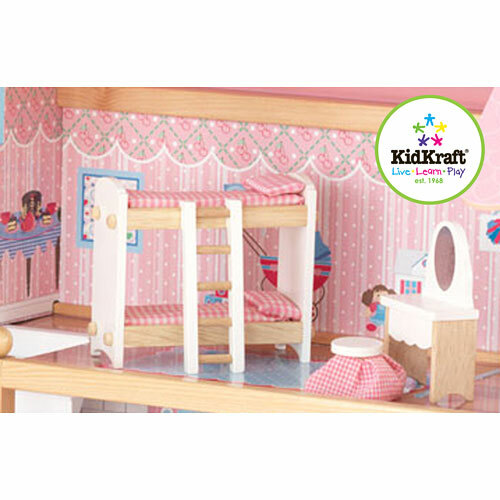 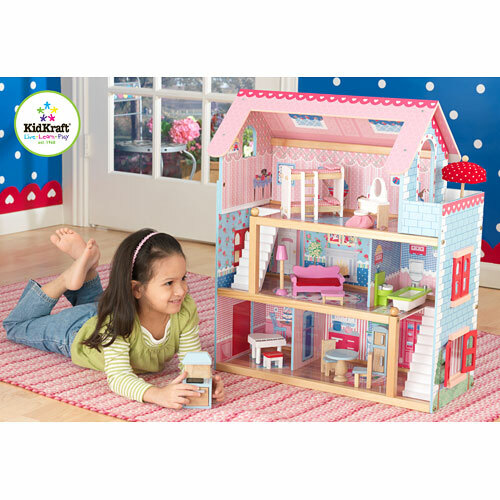 The Kidkraft Chelsea Doll Cottage is filled with details young girls are sure to love, like windows that open and close and adorable heart artwork that stretches across the roof. This dollhouse also comes with a whopping 19 pieces of furniture, including a gorgeous grand piano and bunk beds with a ladder. 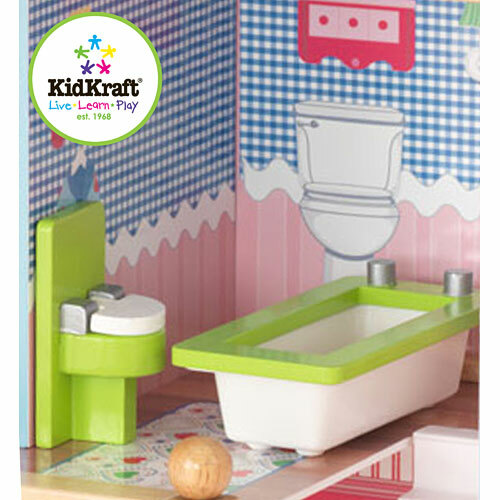 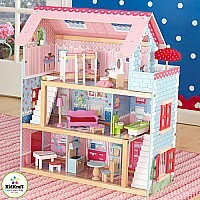 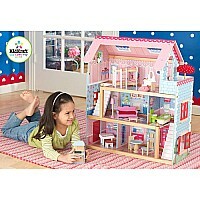 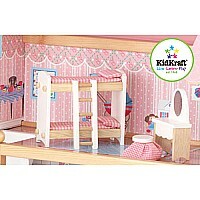 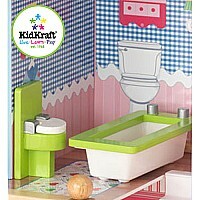 If your little girl wants her dolls to truly live in style, this is the dollhouse for her! 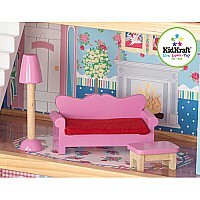 Measures approximately: 26.50 x 18.50 x 5.50 inches..